Thank you to our Natick Chapter Recipient Toolkit Sponsor! Welcome to the Natick chapter of Neighbor Brigade! Our chapter was formed in May 2010. 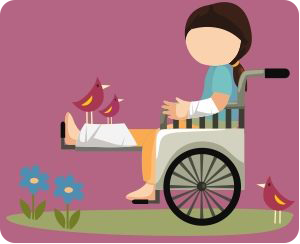 Whether you are seeking assistance or looking to provide help to another, you’ve come to the right place. Our volunteer chapter leaders donate time to coordinate the needs of families in crisis with the volunteers who want to help. Read on to learn more about their passion for Neighbor Brigade, and help us spread the word! We are always looking to expand our presence here in Natick among volunteers and potential recipients alike. 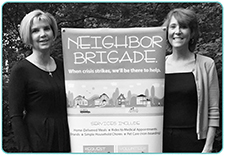 Jill Kovatsis started Natick Neighbor Brigade as one of the founding chapters in 2010. She joined the Neighbor Brigade mission to provide her community with a vital resource for those in need of support. She is thrilled and inspired that Neighbor Brigade has taken such an active and encouraging role in Natick. She has lived in Natick for over 20 years with her husband and four children and spends much of her time in leadership roles in a variety of non-profit organizations. Kelly grew up in Wellesley and has called Natick home for the past 20 years with her husband, Steve and their three children. She works as an operations manager for a large medical practice. She began as a Neighbor Brigade volunteer, then her family became beneficiaries of the generosity of the chapter as clients. She is thrilled to have the opportunity to serve as a chapter leader and carry on the work of this vital organization.